I am not even going to go into any excuses as to why it has been a few weeks since my last post. Let's just say... life happens! Anyway, moving right along! 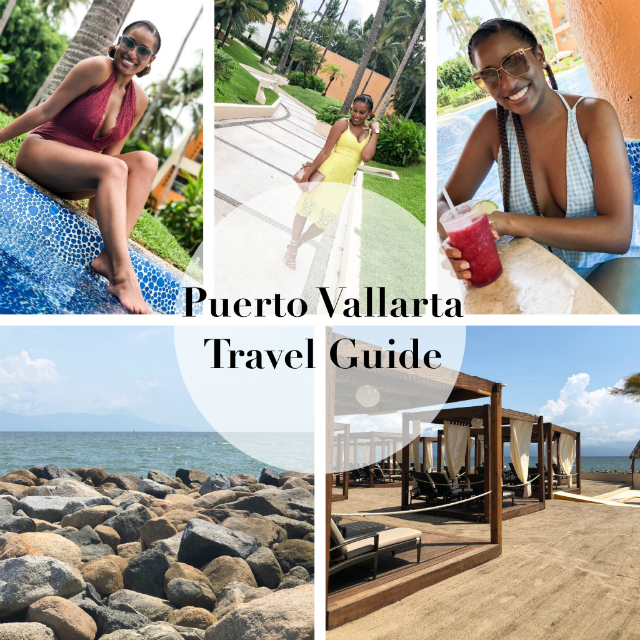 So excited to FINALLY share my Puerto Vallarta travel guide with you all. If you follow me on Instagram, then you may know that my husband surprised me with this trip to Puerto Vallarta, Mexico for my birthday this past June! It was all so very sweet how he was able to pull it off! You can hear more about that here! For this trip, we stayed at the Westin Resort & Spa Puerto Vallarta and it was amazing! We did not do all-inclusive this time around and I do not think this hotel offers an all-inclusive option, but it was a great hotel nonetheless! 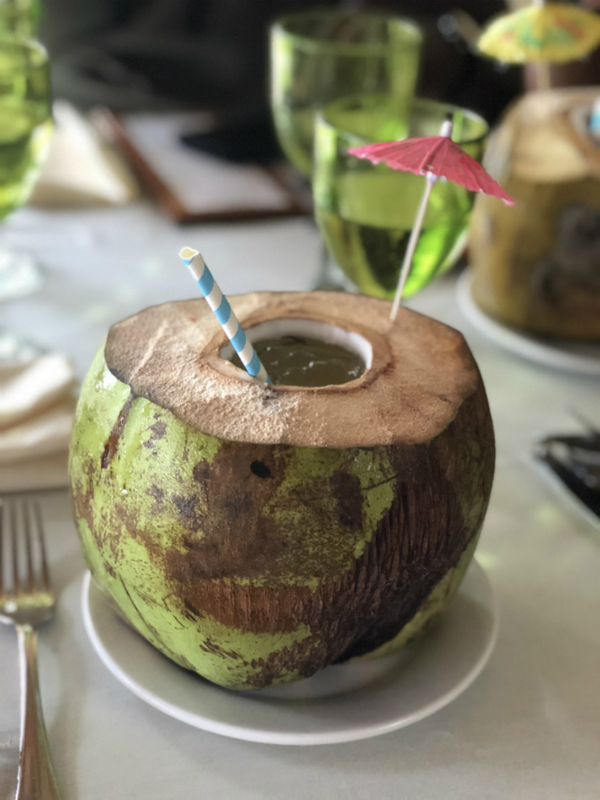 My husband and I actually prefer staying at a non-all inclusive resort for a few reasons; we don't always feel we get our full money's worth with all-inclusive (except for the drinking aspect.. keep those pina coladas coming please! 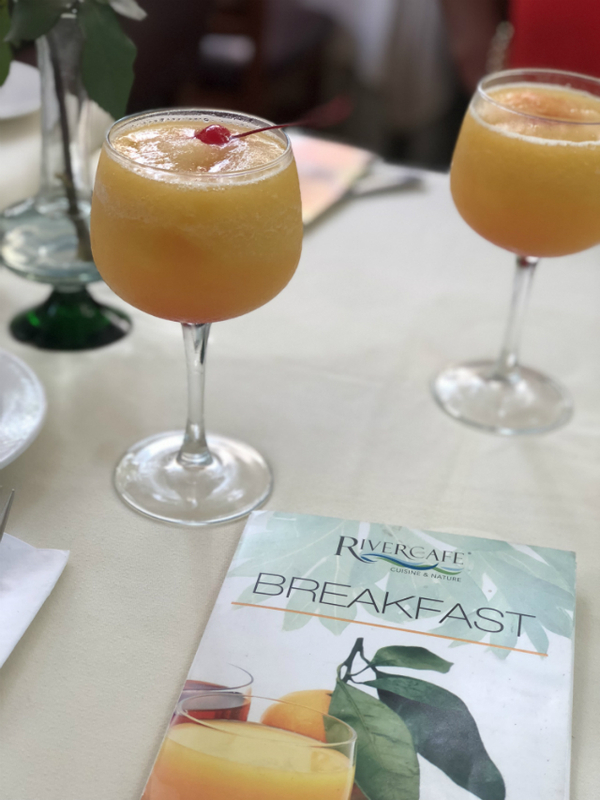 ), we like going out and trying different restaurants away from the resort and with all-inclusive you kind of just tend to eat there since it's included, and the food quality just seems to be a whole lot better when it's not all-inclusive. Not saying we won't ever stay at another all-inclusive resort, but just pointing out our preference! Anyway, this resort had gorgeous views of the ocean, nice huge pools with swim-up bars, a really nice spa, great spacious rooms, and many other things! I believe they have four restaurants and we didn't eat at all of them, but we did have dinner at El Palmer Restaurant and it was very delicious. We spent a lot of our time eating and drinking at the pool. It was a blast! Let me just start this part off by saying that we ate SO MANY french fries while on this trip! I'm not sure how they make them there or what they use to season them with, but the french fries were amazing and I am ashamed to say we had them at least once a day! As I mentioned above, we dined at one of the restaurants at the resort and it was delicious. We also went to a couple places downtown Puerto Vallarta, but you will have to forgive me because I do not remember the names! There were two that stood out the most to me and so I will talk about them. The first would be River Cafe. We went there for breakfast one day and my food was absolutely delicious. It's like a Mexican breakfast restaurant so all of the breakfast dishes have a Mexican twist to them. 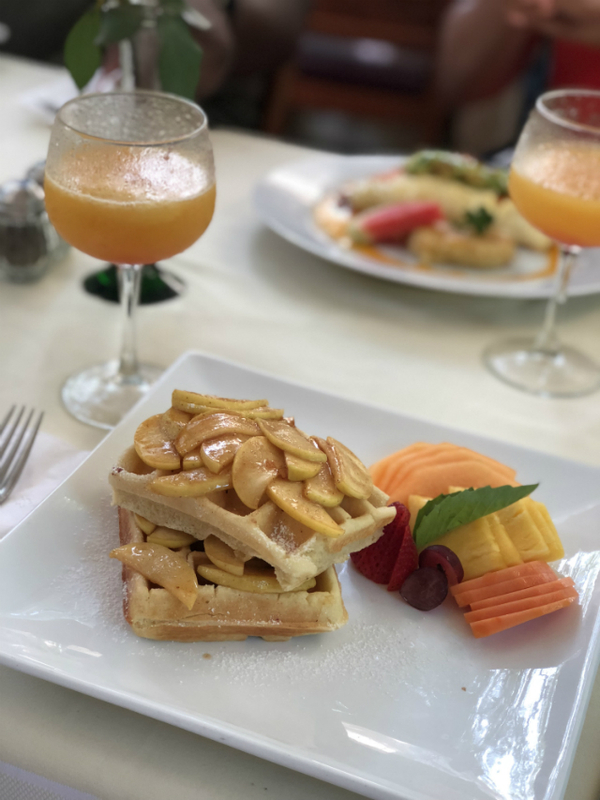 I'm not all that adventurous, so I ordered cinnamon apple waffles, but they were amazing! I can't remember what everyone else ordered, but it was all different and everyone loved their food. The atmosphere is also nice because you're sitting next to and above a calming river. It was a little far from our hotel, but I highly recommend! The stand out restaurant would have to be Sonora Grill Prime. We had dinner there on our last night in Puerto Vallarta and WOW they did not disappoint! First of all let me just say that it was fine dining, but the prices did not reflect the level of fine dining we received. I guarantee the same meal we had there in the states somewhere would probably cost double. The atmosphere was nice and the people were extremely nice. I loved that at the end of dinner, they brought out orange sorbet for everyone. It was a nice way to cleanse my palette after my meal. My husband of course ordered chicken, but the presentation was amazing! So let me give a small disclaimer for this section. On this trip, I did not take a whole lot of pictures! I took a lot of insta-story videos, but not many pictures so I'm going to tell you guys some cool things to do in Puerto Vallarta, but unfortunately I don't have pictures of us doing these things! So of of course you have to go the beach! Puerto Vallarta has many nice beaches like Playa de los Muertos or Garza Blanca. There is nothing like laying out on the beach for a day. One thing we were really looking forward to doing, but did not get a chance to do was the Rhythm of the Night Sunset Cruise. You guys, we were so upset we didn't get to do it! We were there ready to board the boat and they made an announcement that it was having technical issues, so they cancelled the show and it was our last night, so we couldn't reschedule. SO SAD! I heard it is super entertaining and amazing so definitely do it if you go! One night, we took a nice walk on the Puerto Vallarta El Malecon Boardwalk and it had lots of restaurants and night clubs! We had a great time. You can go zip lining, ATV adventures, snorkeling, and many other things! Seriously, the options are endless! Walking through the Puerto Vallarta Marina was cool too. They have an old lighthouse and you can go to the top floor and have drinks with amazing views of the water. One of my most memorable moments from the trip was finally getting one of those fish pedicures! It was so weird, but my feet felt amazing afterward and I had wanted to try that for a long time. We all tried it and everyone enjoyed it. So that's all I have! I'm so sorry it took me so long to get this out. I had an amazing time in Puerto Vallarta and I would go again. Have you ever been? What was your favorite part? This looks like such a beautiful and fun vacation! I love your outfits and your sunglasses are fabulous!! This looks like so much fun! What an amazing hotel! And I love your swimsuit! This sounds like such a great trip! I haven't been there yet, but it's on my list! When we go to Mexico we don't always do all-inclusive all the time either! It's great to get out and off the resort to explore the local cuisine and take in the sites! The place looks lovely! And the food looks amazing! Looks like you had an amazing time! Looks like such a fun trip!! Now I need to add this to my travel list! This looks like an amazing vacation! So fun! Everything looks and sounds so amazing! Those waffles OMG! This place looks so amazing! I really want to go! Looks like you had an amazing trip! I got a fish pedicure when I was in Bali with my husband years ago...such an interesting experience. Ok I need this vacay asap!! Those food pics look delicious and those cabanas by the pool a dream!! Looks like you had a fabulous time! It looks like you had such a great trip! My husband and I definitely need a trip like this. I went to PV in high school and in college for spring break-- such a pretty place and so much fun! Your trip looks so fun! I need to add this to my bucket list. I love a good beach vacay! ooh I always go to Cabo or Cancun but looks like i need to try PV! So fun!